The Albany Roundtable kicks off its 2016-17 season on Thursday, October 13 with a presentation from the project director and lead artist behind Breathing Lights – a temporary public art installation that will illuminate the windows of hundreds of vacant homes in the cities of Albany, Schenectady and Troy this fall. The Roundtable usually meets on the second Wednesday of the month but is changing the date of the October 2016 meeting to avoid a conflict with Yom Kippur. Albany Roundtable luncheon meetings are held at the National Register-listed University Club, 141 Washington Avenue at Dove Street in Albany, and are open to the public. This October and November, Breathing Lights will illuminate the windows of hundreds of vacant buildings in Albany, Schenectady and Troy. Warm light will fill each window with a diffuse glow that mimics the gentle rhythm of human breathing. 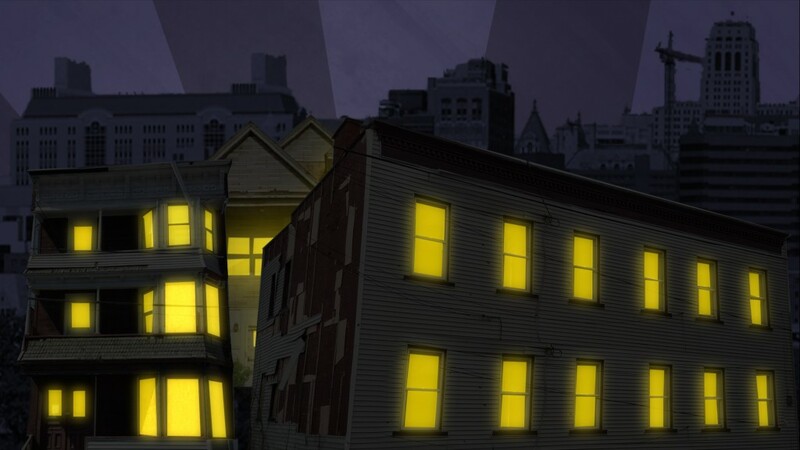 Concentrated in neighborhoods with high levels of vacancy, Breathing Lights will transform abandoned structures from pockets of shadows into places of warmth. Visit www.breathinglights.com/ to learn more about the project. Breathing Lights was a winner of the Bloomberg Philanthropies Public Art Challenge which engages mayors to collaborate with artists on developing innovative public art projects that enrich communities and attract visitors. This unprecedented, multi-city installation will transform public streets into an evocative experience and provide a platform to reinvigorate partners around the Capital Region’s most visible symptom of decades of disinvestment. Project director Judie Gilmore is an independent arts consultant, curator and writer who works with organizations and individuals on public projects, exhibitions, site-specific installations and project development. Prior to joining Breathing Lights, she served as the Director of Strategic Initiatives at the Philadelphia Mural Arts Program where she developed large-scale public art initiatives that focused on neighborhood economic development, behavioral health, workforce development and prisoner re-entry. She received a BA in art history from Johns Hopkins University, and an MPA, concentrating in cultural strategies and community development, from NYU where she was a Public Service Fellow. Lead artist Adam Frelin uses art to insert emblematic moments into everyday life. In his artwork, these moments often take place at points where the natural and constructed worlds intersect. He has shown widely across the nation and has received numerous awards and residencies both here and abroad. He has published two books of photography and has had several artworks commissioned throughout the world. Frelin received a BFA from Indiana University of Pennsylvania, and an MFA from University of California, San Diego. Currently he is an Associate Professor of art at the SUNY University at Albany, and lives in Troy. Learn more about his work at www.adamfrelin.com . The cost for the luncheon is $20, which may be paid at the door. The Roundtable also offers its guests the option of paying in advance with a credit card at www.albanyroundtable.blogspot.com. The University Club will serve a hot and cold buffet from 12:00 noon to 1:00 p.m., with the program commencing at 12:30. Reservations for the October 13 luncheon are required by Tuesday, October 11 and may be made by prepaying online, by calling 518-431-1400 (the Albany Colonie Regional Chamber of Commerce) or by sending an e-mail to albanyroundtable@yahoo.com.